One of my first memories from medical school is of my anatomy professor lecturing us on the role and responsibility of the physician as teacher: “the word doctor comes from the Latin word docere, meaning to teach”. I hadn’t considered that when I applied to medical school, and at that point in my education had never imagined myself as a teacher. As I progressed through my training, however, I came to realize that the act of teaching was not only satisfying but was, in fact, one of the best ways for me to learn. I served as a chief resident for my internal medicine residency program and found that more than anything it was a teaching fellowship, and I loved the experience of facilitating morning report and the one on one mentoring of younger residents. As a palliative care specialist, the opportunities to teach have multiplied. As clinical faculty, nearly every encounter I have with a patient and/or family includes at least one learner, whether a medical student, resident, or one of our fellows. The subject matter that I teach on a daily basis is broad, ranging from principles of pain management to hospice rules and regulations, and from the basics of how to communicate bad news to the subtleties of conflict resolution and medical decision making in the setting of serious illness. It’s not just the learning topics that vary: we teach in a multitude of venues, from the bedside, to informal case-based discussions in our conference room, to lectures and facilitated simulated patient encounters. As I have gained clinical experience and developed as an educator, so too has our specialty been evolving. When I completed fellowship, I had a clear sense of responsibility to teach the learners in our section about palliative care topics. Over the past few years however, I have felt increasingly that our field has an important role to play in educating the medical field as a whole not just about the importance of good communication, but also in how to actually communicate effectively and efficiently. This is not to say that we are the only experts in medical communication, but certainly given that it is one of the main focuses of our training we should be actively involved in shaping the state of the art going forward. 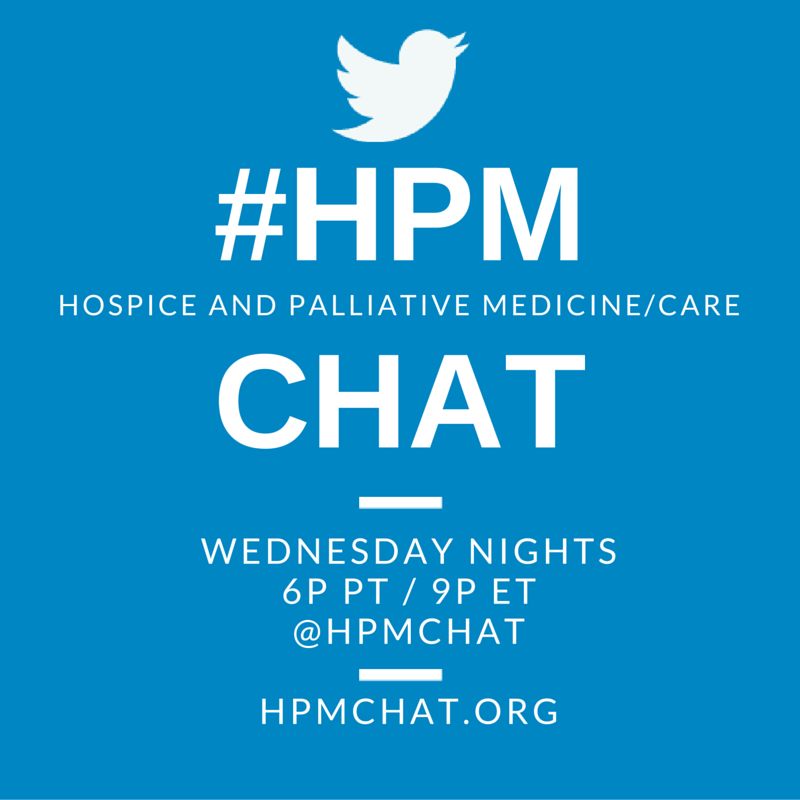 As the academic year has just kicked off, this month our #hpm Tweetchat will focus on communication training, within the field of hospice and palliative care and beyond. 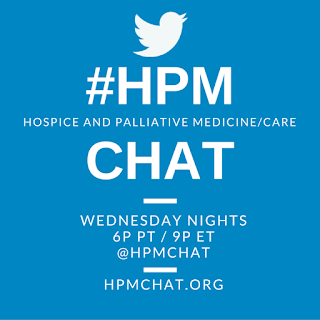 Join us for an inclusive discussion, for anyone interested in, learning about, or practicing in the field of hospice and palliative medicine! T1: What are the main systemic barriers to good communication in healthcare? T3: What is your favorite “high-yield” question to ask patients? Patients, what’s the one Q you want your HCP to ask? Meredith MacMartin is a palliative care physician at Dartmouth-Hitchcock Medical Center in Lebanon, NH.